Thanks to its dramatic movement, milky white background and realistic soft brown veining, Calacatta-Laza is a natural choice for waterfall islands, refreshing small spaces, and delighting the eye in both classic and modern environments. 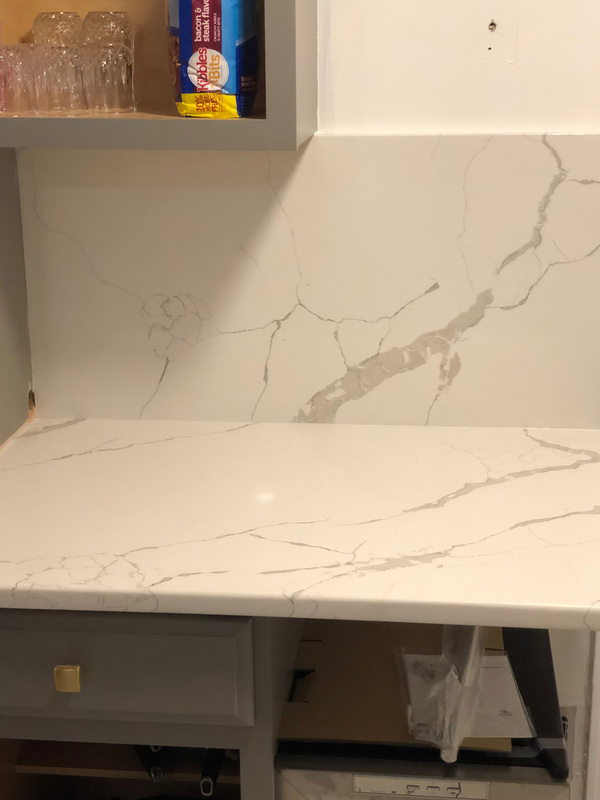 Durable, easy to clean, and maintenance free, use this gorgeous marble-look quartz to create show stopping quartz countertops, kitchen islands, floors, backsplashes, and accent walls. The choice is yours, and the possibilities are endless! Available in 2 CM and 3 CM slabs and prefabricated options for design and installation flexibility.